The Bantam roll door is an economical fabric door alternative for high maintenance overhead dock doors. The low profile design accommodates most dock applications. Manual operation is standard via a pull-chain hoist, with optional motorized operation. Ideal for interior or exterior industrial applications with low to moderate traffic. The manual Bantam can be built up to 10'wide x 10' high, with a maximum size of 14' wide x 15' high for motorized doors. 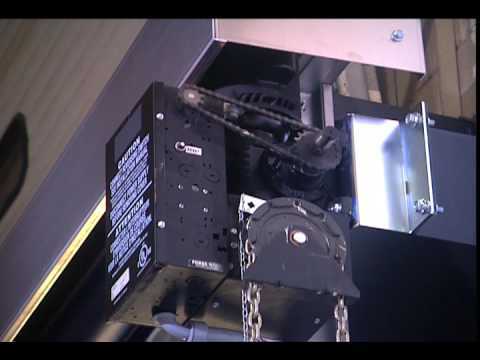 Simple door operation by chain hoist eliminates complicated electrical controls. Break-Away™ bottom bar is easily reset without tools, virtually eliminating maintenance.